How have we never talked about knapweed before??? Surely I’m not the only one that thinks of their study organism in terms of fictional criminal geniuses? Wow, sorry folks, I’ve been slacking, and that whole PhD thing is a sorry excuse! Let me tell you a little natural history about a plant called diffuse knapweed (Centaurea diffusa), the Dr. Moriarty to my Sherlock Holmes. The system I work in is a weedy species in a weedy genus. The genus Centaurea, in the sunflower family (Asteraceae), contains knapweeds and starthistles and has contributed 30 non-native species to North America. 11 of these are noxious weeds (USDA NCRS 2013). That’s a lot of weeds! Centaurea is one of the few plant genera present in the US which contains more weedy species than expected by chance (Kuester et al. 2014). The five Centaurea species causing the most problems (which includes diffuse knapweed), have invaded millions of hectares of grassland, making it the most abundant noxious weed genus in western North America (LeJeune & Seastedt 2001). Knapweed invasions can form dense monocultures, which push out native grassland species.This reduces the quality of forage for livestock and wildlife and alters soil and water resource availability (Sheley & Larson 1996). These impacts occur partially through competing with native species for limiting phosphorus in disturbed grasslands (Sheley et al. 1998, LeJeune & Seastedt 2001). 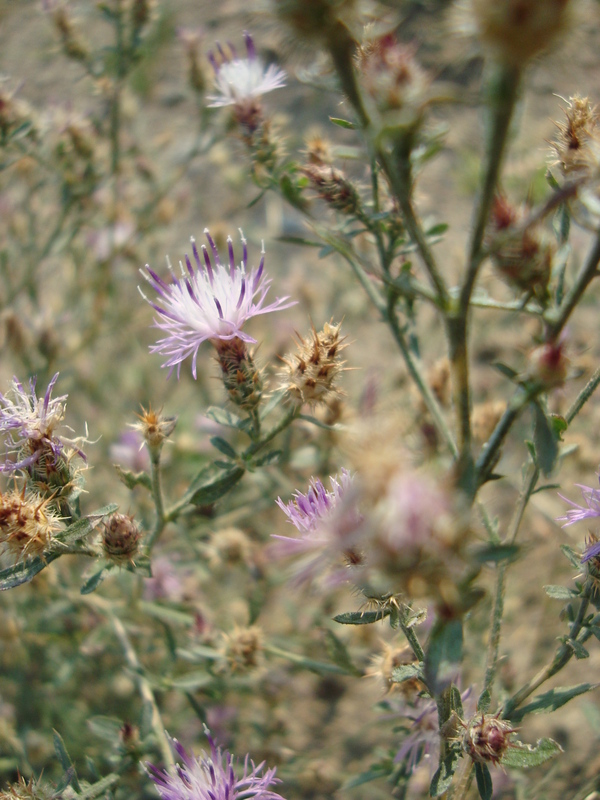 Native to parts of eastern Europe and western Asia, specifically the area surrounding the Black and Caspian Seas, diffuse knapweed is considered a natruralized alien throughout western Europe as well (Greuter 2009; Bleeker et al. 2007). This species was first reported in North America in 1907 as a Bulgarian alfalfa seed contaminant in an agricultural field near Bingen, Washington (Sheley et al. 1998). It then spread, initially as an alfalfa and hay seed contaminant, across western North America (Sheley et al.1998). It now occurs in six Canadian provinces and 25 of the United States (USDA NRCS 2013). 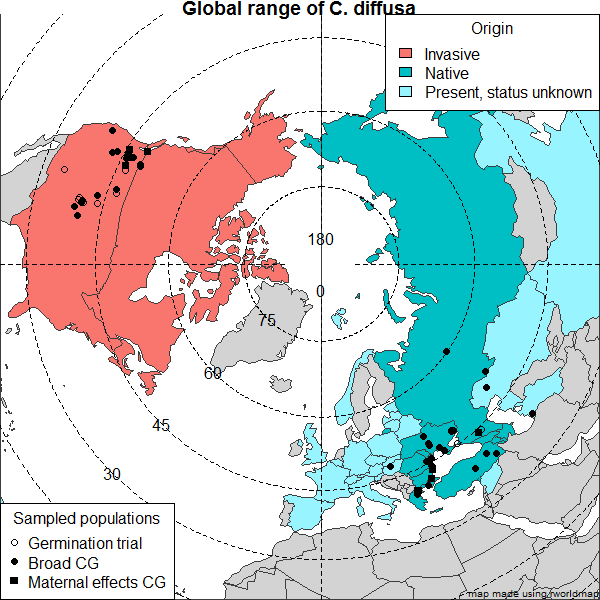 Some evidence suggests that diffuse knapweed has been introduced to North America at least twice but probably multiple times, including once from Turkey (Hufbauer & Sforza 2008; Marrs et al. 2008). At least in the core of the native range surrounding the Black Sea, native populations show little population structure and are nearly panmictic, in other words, they interbreed a lot, and are very similar to each other (Marrs et al. 2008). Diffuse knapweed, Okanagan Valley, British Columbia, September 2009. When knapweed is flowering, its really not that unpleasant to look at. Diffuse knapweed is a tap-rooted, rosette-forming, facultative biennial with deeply lobed leaves (Thompson & Stout 1991). When the plant is mature, it sends up a many-branched flowering stalk, or bolt. Like other thistles, its flowerheads resemble tiny artichokes, with white to light purple petals. Once the pretty petals have done the job of attracting helpful pollinators, and the fertilized seeds have matured, the whole plant dries up. The stalk breaks away from the base, and blows away in the wind, fulfilling it’s destiny as a tumble weed. And everywhere it goes, it shakes its seeds out of the small dried-up flowerheads. If you’ve ever had the misfortune of trying to eat an apple after working with diffuse knapweed, then you know that it contains a strongly bitter metallic tasting compound. For this reason, it is apparently sometimes included in some bitter liqueurs, such as Cynar. Greuter W (2009) Compositae (pro parte majore). In: Greuter, W. & Raab-Straube, E. von (ed. ): Compositae. 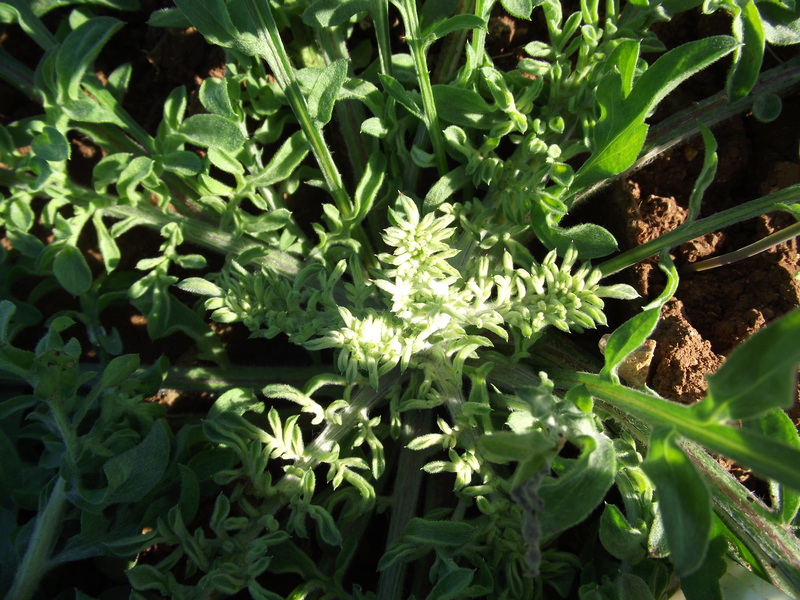 Euro+Med Plantbase – the information resource for Euro-Mediterranean plant diversity. [WWW document] URL http://ww2.bgbm.org/EuroPlusMed/. [accessed 9 June 2013]. Lejeune KD, Seastedt TR (2001) Centaurea species: the forb that won the west. Conservation Biology, 15, 1568–1574. Sheley RL, Jacobs JS, Carpinelli MF (1998) Distribution, Biology, and Management of Diffuse Knapweed (Centaurea diffusa) and Spotted Knapweed (Centaurea maculosa). Weed Technology, 12, 353–362. USDA NCRS (2014) Centaurea diffusa Lam. The PLANTS Database, National Plant Data Team. [WWW document] URL http://plants.usda.gov/. [accessed 9 June 2014]. This entry was posted in beverage, ecology, ethnobotany, invasion biology, My research by KTInvasion. Bookmark the permalink.